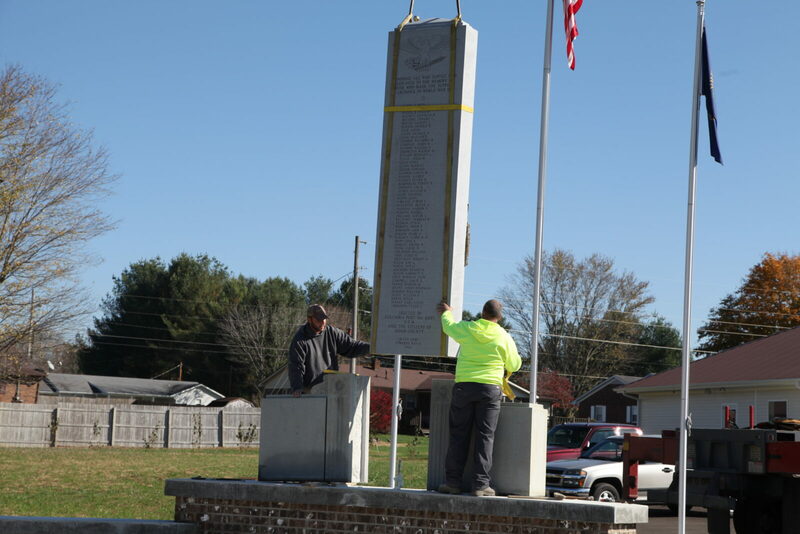 “The Memorial Monument is now home. Yes, it was a heartbreaking event when it fell and broke. Thankfully we had pictures of all the names and the monument company had insurance. It was rebuilt identical to the original, even the names that had been added over the years and not in alphabetical order were cut back as the original. Thus the names on this Memorial are honored just as much as they ever were. It is now safely at it new home. Come by and visit,” says Joe Hare, Columbia VFW Post Commander.